Passing your Basic Appraisal Procedures Test just got a whole lot easier…. The Basic Appraisal Procedures Exam covers all three approaches to reaching an opinion of value—income capitalization, cost, and sales comparison—and how to apply them to real world appraisal problems. 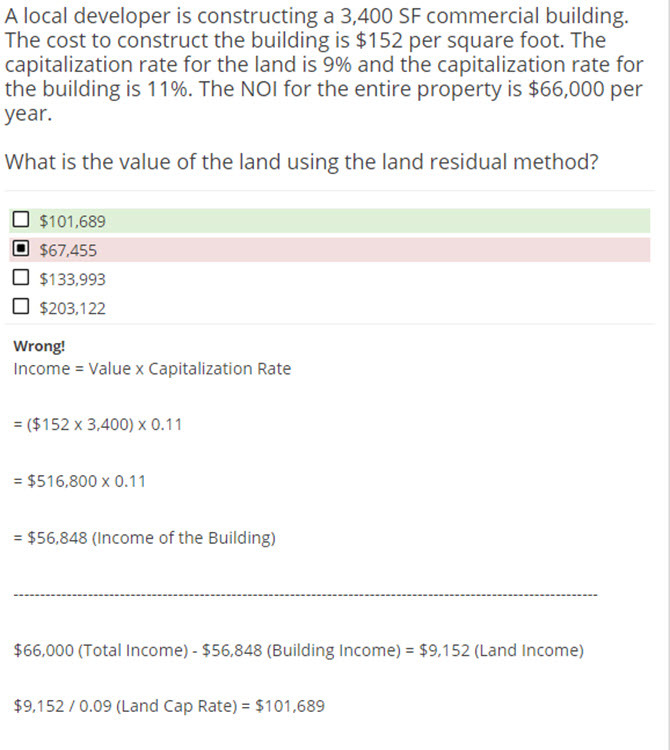 Our appraisal practice exams cover capitalization methods and formulas, learn how rates and multipliers are derived. The three major components of depreciation and methods for estimating and allocating depreciation; and land and site valuation. Here at Appraisal tests , we are fully committed to your success. If you do not pass the basic appraisal procedures exam (impossible), we will return your money. Guaranteed. Click the button below and remove all doubt and worry that you are going to pass the Basic Appraisal Procedures Test. Our software was developed with you in mind. The apprasial test questions are easy to access and use on a computer or mobile device. On most basic appraisal procedures test questions, you will not only be shown the right answer, there will also be an explanation to help you in the future. $17.99 – Click To Get Started Now!